At this year’s gamescom we were treated to a press demo on the new Mastery system coming in Heart of Thorns later this year. Run by Lead Designer Crystin Cox, we were taken through each mastery track in turn as they currently stand. I’m extremely excited for this new horizontal progression system that kicks in post-level 80, and so too is ArenaNet. There are tonnes of interesting and useful masteries that will be present at launch, and below are a few of the highlights. Seven mastery tracks will be included in Heart of Thorns, for a total of 39 individual masteries. Four tracks will be dedicated to Heart of Thorns-specific content: Gliding, Itzel Lore, Nuhoch Lore and Exalted Lore. The remaining three will be based around the core parts of Tyria that we’re used to playing in now; Pact Commander Mastery, Fractal Attunement Mastery and Legendary Precursor Crafting Mastery. All of the Heart of Thorns lore-related masteries for the itzel, nuhoch and Exalted open up new gameplay options to players whilst helping to immerse you in the culture and world of the NPCs. A good example of this can be found in the itzel track, where unlocking the first couple of masteries gives you access to bouncing mushrooms and dialogue with itzel vendors to obtain their wares. The bouncing mushrooms are designed to give access to previously inaccessible areas and make jungle traversal easier; at the final level, you can unlock the use of rare adrenal mushrooms that recharge all skills upon use. Similar things occur with the Nuhoch Mastery track, except its final mastery unlocks the ability to cleanse yourself of nasty stacks of blue slime from new enemies: the chak. These nasty little things will shoot slime at you that will eventually crystallise if allowed to reach a particular level. To combat this, your heal skill will automatically remove the slime if you have the Nuhoch Lore Mastery track fully unlocked. Another great example of how the Mastery system will impact your gameplay in the expansion is through the Exalted Lore Mastery track. One particular mastery allows you to use Exalted Recall devices to summon a warrior to fight by your side and aid you if you happen to be downed. 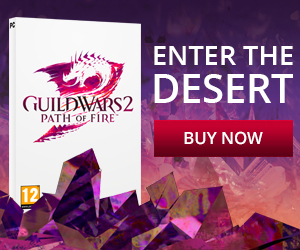 Another allows you to challenge one of the Exalted’s champions for new rewards once a day – a fight which can’t be completed alone and requires group coordination. Masteries aren’t just for the Heart of Maguuma regions, however. The Pact Commander track is intended to help pair veteran players with new ones; players can be marked as mentors, receiving a tag similar to a commander that’s also visible in chat. New players will be able to come to these tagged people for help. To reward mentors, also in the track are perks such as a permanent speed boost when in cities. Fractals of the Mists are receiving a big update in Heart of Thorns, and with it will also come the Fractal Attunement Mastery. Mastering this track unlocks new infusions, and access to new singularities inside fractals; as opposites to Mistlock Instabilities, the singularities will give players context-specific buffs depending on the fractal. We also put some community questions to Crystin about the future of fractals, which will be released early next week in our gamescom Q & A video. Finally, there’s the Legendary Precursor Crafting Mastery. Heart of Thorns will launch with three new legendary weapons, with a view to add more after release. Unlike current legendaries, these will not be tradeable – if you own one, it’s because you worked hard to craft it. The Mastery track will help in obtaining precursors for your legendary endeavours, with three tiers of weapons to craft before you get to your precursor weapon of choice. Each tier builds on the last to thematically power up your precursor weapon until it becomes worthy of crafting into a legendary weapon, visually changing until it reaches its final form. Remember that Heart of Thorns is launching this year, and that the first Beta Weekend is currently underway where you can play with what’s been shown at the gamescom playable demo and a lot more. We’re streaming our gameplay for those who haven’t yet pre-purchased, so drop in and say hi! 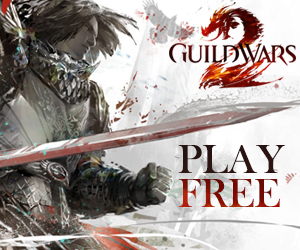 Previous: Fractal update announced for Guild Wars 2!